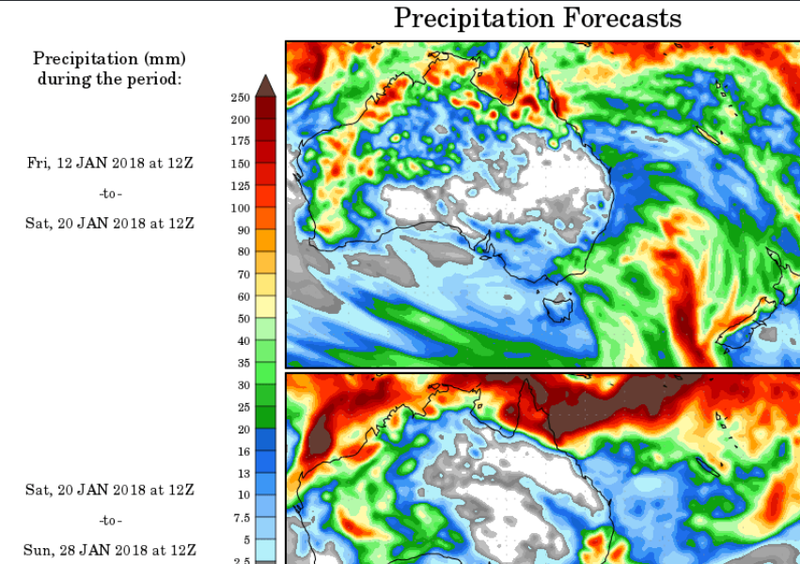 Based on what happened last year, I would tend to expect below average activity in the SWIO and SPAC and perhaps near average activity in the Australian Region. 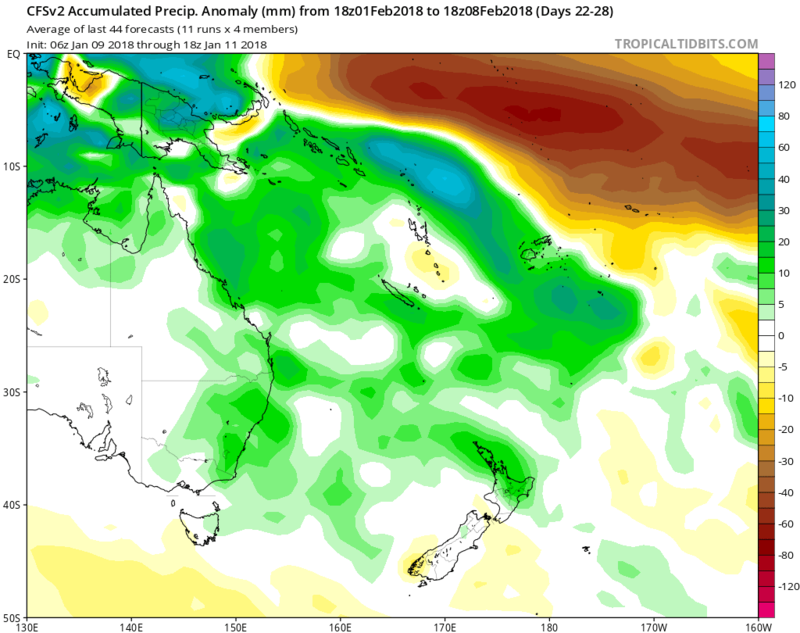 With a Weak La Niña we will likely see Southern Hemisphere ACE below average once again. Quite alive in the Indo. 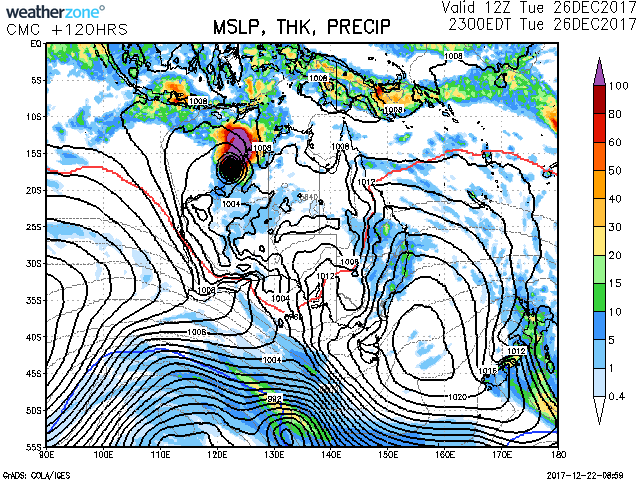 Been monitoring that area near Sumatra yesterday, it looks decent. Maybe the disturbance can just do enough to be named IF agencies notice it. the system may be a lot stronger than currently being displayed on the run. 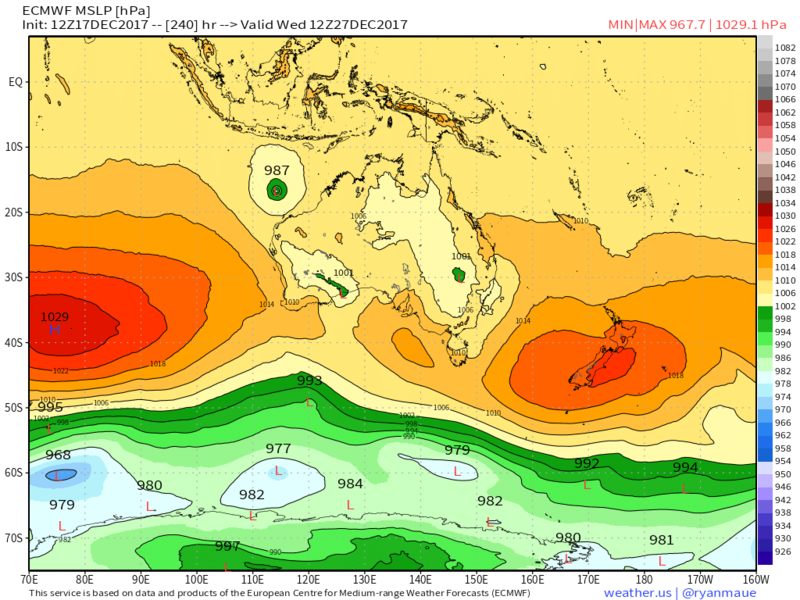 Strong High underneath, warm sst, shear is the only ?. 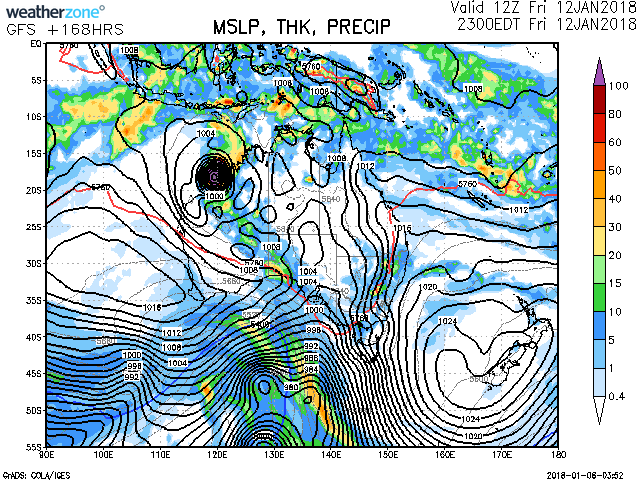 GFS bottoms the 2nd system into the 950's. 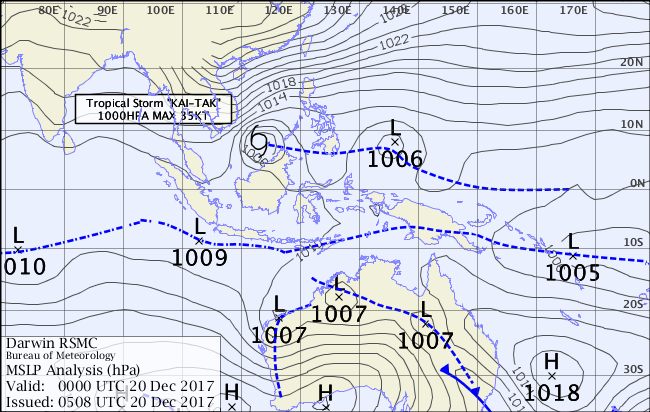 Monsoon trough is on the way. 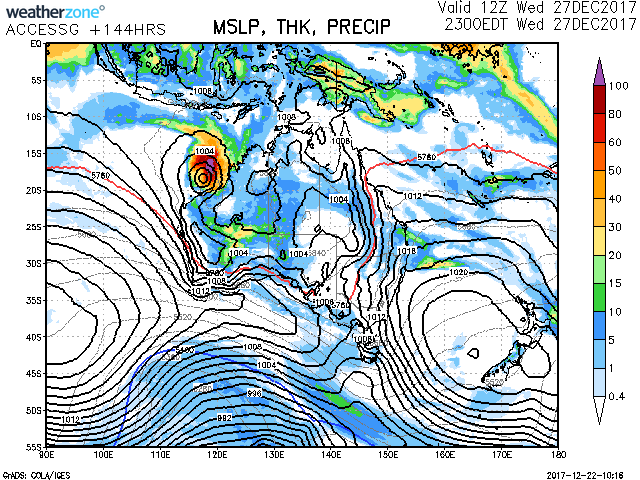 GFS has been consistently hitting WA with a strong cyclone in many runs. 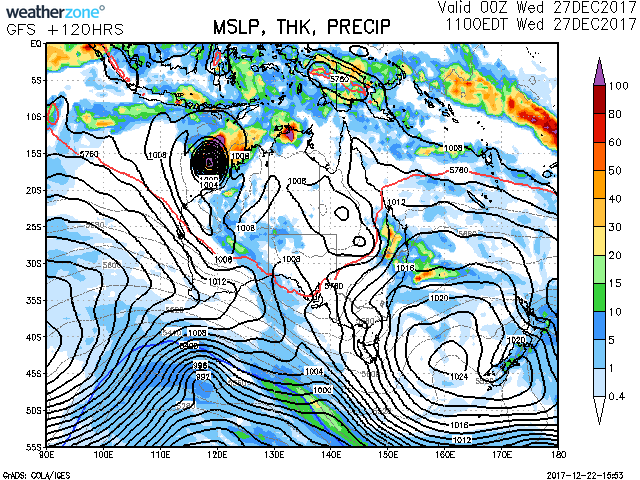 Monsoon trough will likely futher lower with the high pressure moving over the continent. 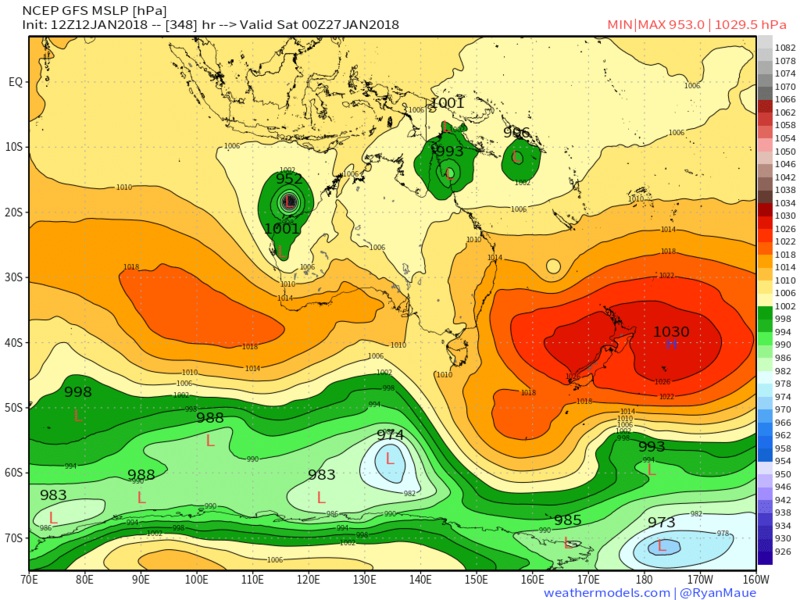 We have seen another very slow start to the Southern Hemisphere cyclone season, similar to last year with only one JTWC-warned system and extremely low ACE. However, it seems that the coming weeks may break the slow spell and accumulate significant ACE. 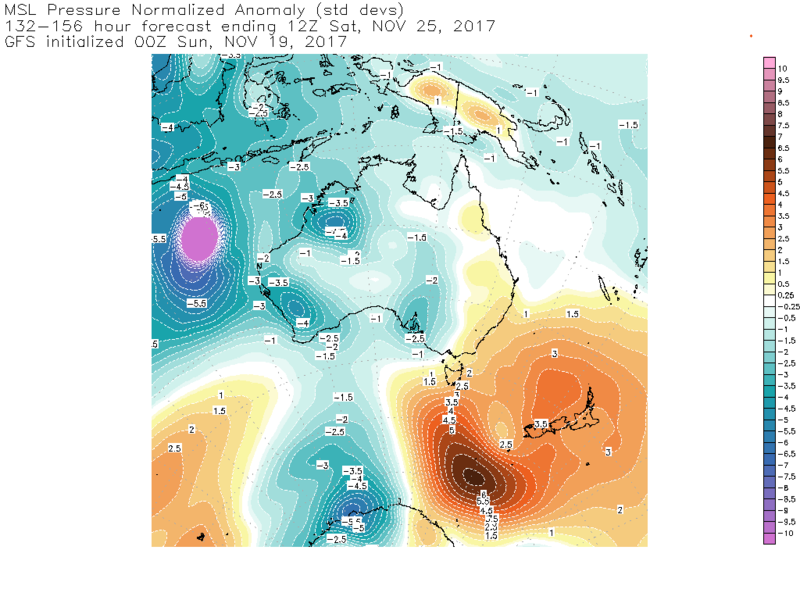 GFS and other models are now showing a significant and potentially very intense cyclone (at least according to GFS) hitting Western Australia in the next week. 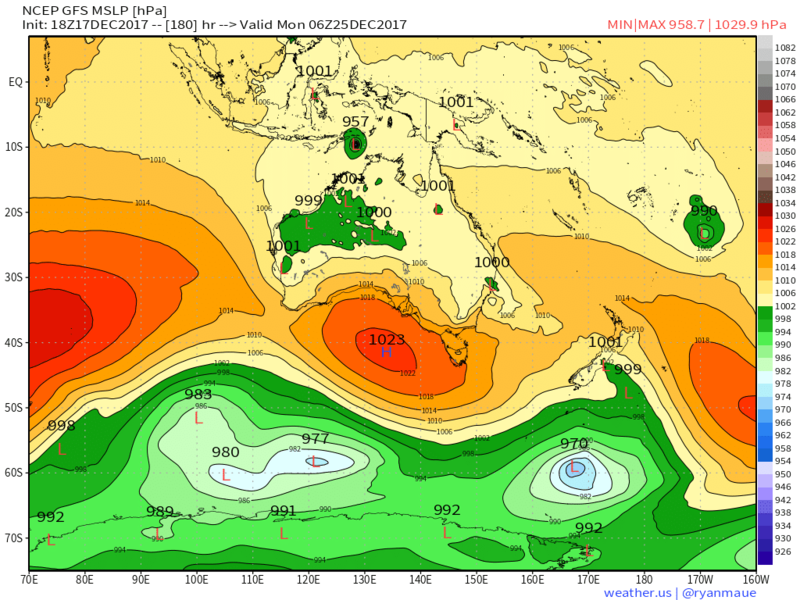 I am not very experienced at posting model screenshots, but GFS is also indicating the potential for another cyclone to follow the first along Western Australia as well as potential cyclones in the Southwest Indian Ocean within the next two weeks (although those are still a ways out). 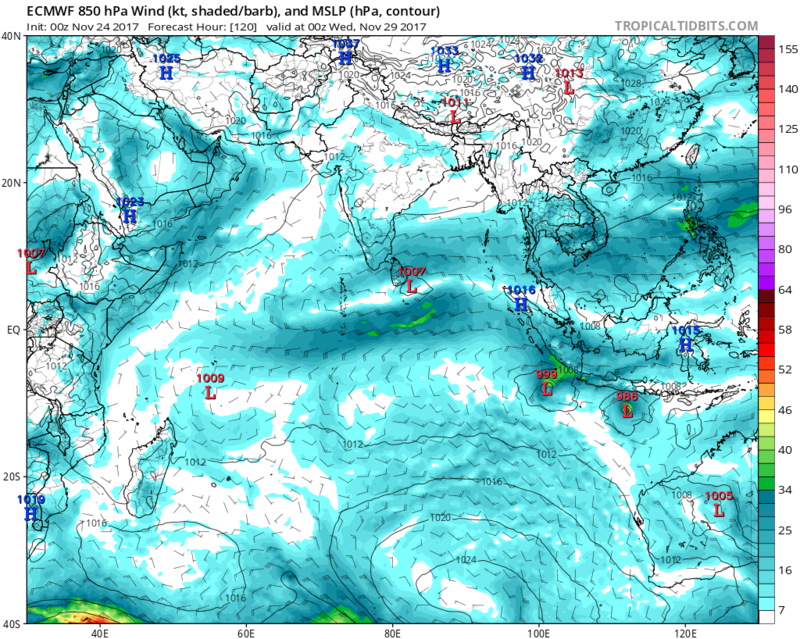 There is currently convection in the Southwest Indian that the GFS eventually shows forming the first of these cyclones, and it shows it landfalling in Madagascar. 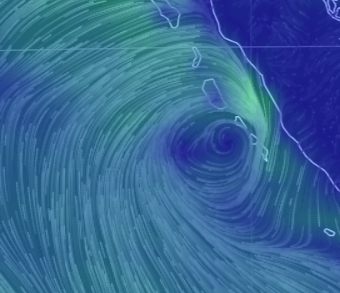 I will stay attuned to future runs to see if GFS continues to show these cyclones. 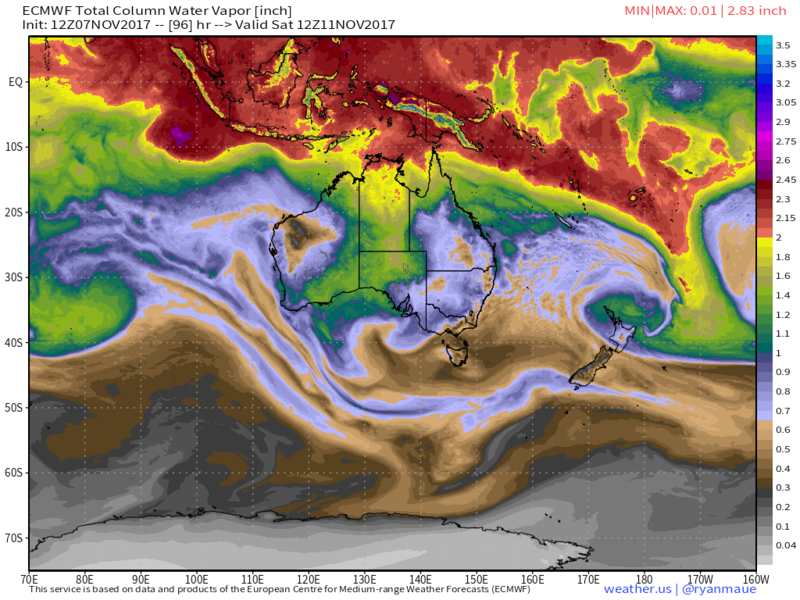 The way the season has started, I would not place a large bet on a cyclone outbreak, but I am pretty confident that there will be at least a moderate cyclone in the Western Australia region within the coming week. 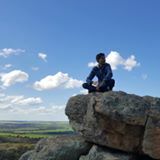 If January is inactive once again, then something very strange is occurring, but I do not expect it to be as inactive as the nearly dead January 2017. 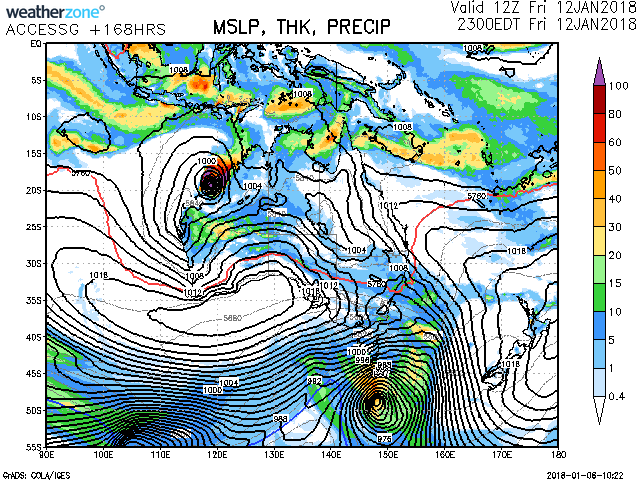 It shows the second intense cyclone off NW Australia and a moderate cyclone hitting northern Madagascar. 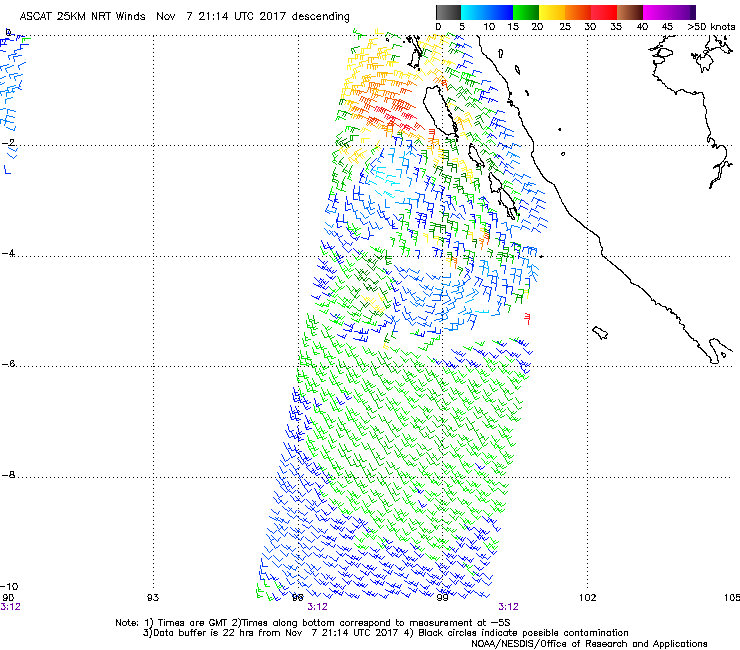 The 1000-mb low to the east eventually deepens to 982 MB. for the period until midnight WST Monday 25 December 2017. 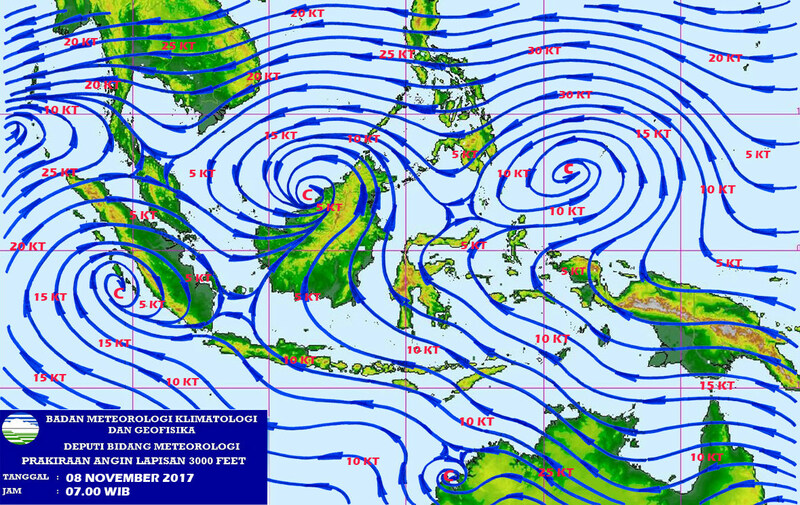 A trough lies near 7S (just north of the Indonesian Archipelago). 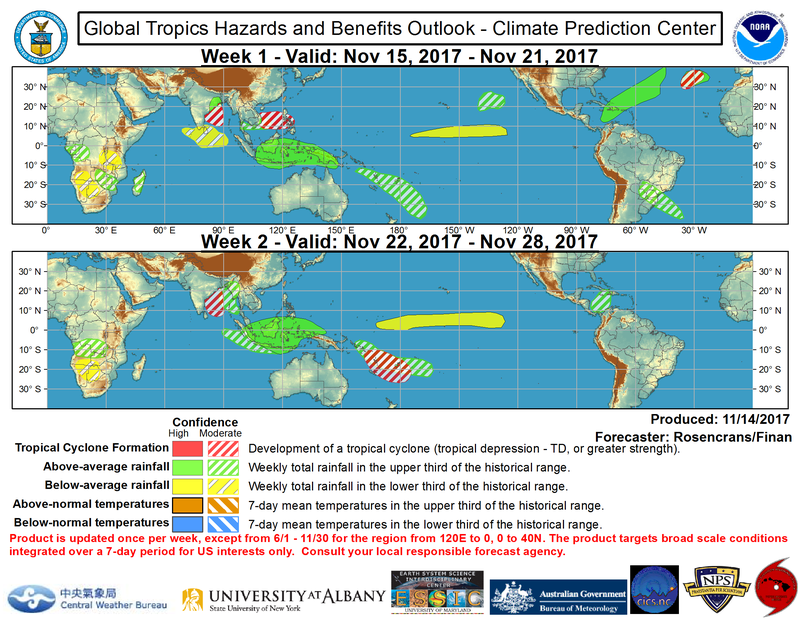 A tropical low is starting to form in the trough near 7S 122E and is forecast to move southwest over the weekend and may strengthen next week. 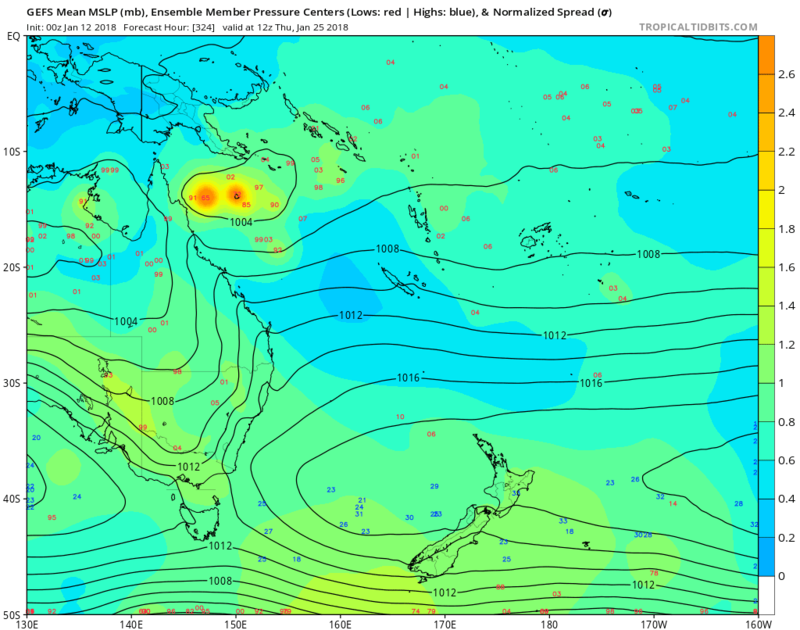 There is also a chance another tropical low develops in the trough well north of the Northern Territory over the weekend and then moves southwest. 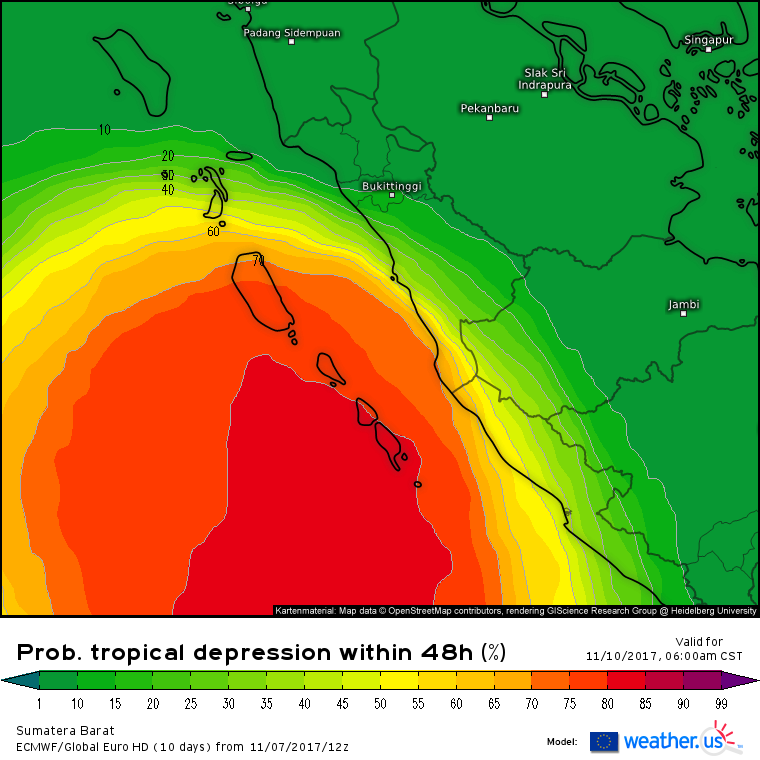 If it does develop, then there is a chance it strengthens next week. 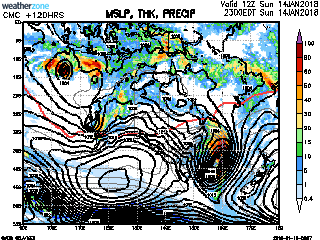 These two systems increase the risk of a tropical cyclone for northern Western Australia after Christmas Day. A weak low lies near the northern border of the Western Region near 10S 112E. It is expected to move slowly to the east and dissipate over the weekend. 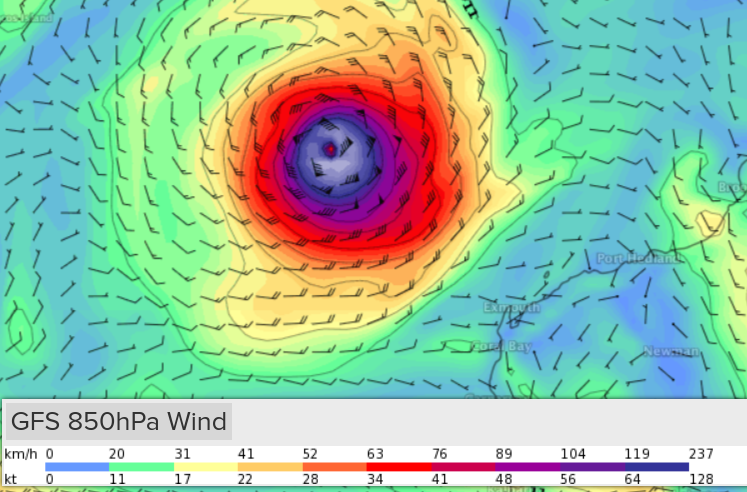 reasonable chance for a tc hit. 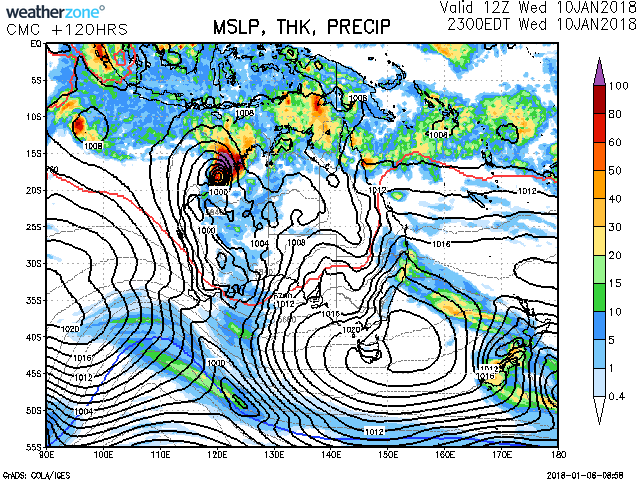 GFS is rolling out the next shem TC in swio Beefy looking ridge on the run. 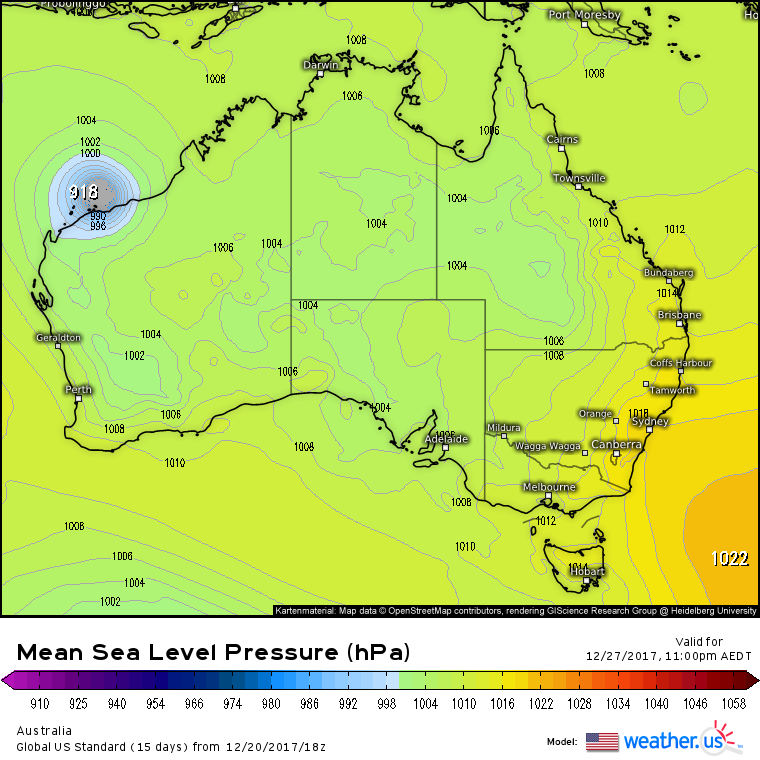 Global models hinting another cyclone will develop off nw Australia. 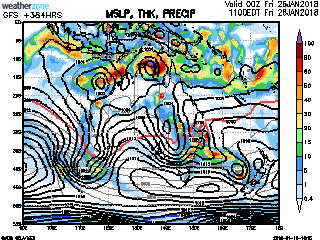 Gfs and cmc spinup another sio cyclone next week. 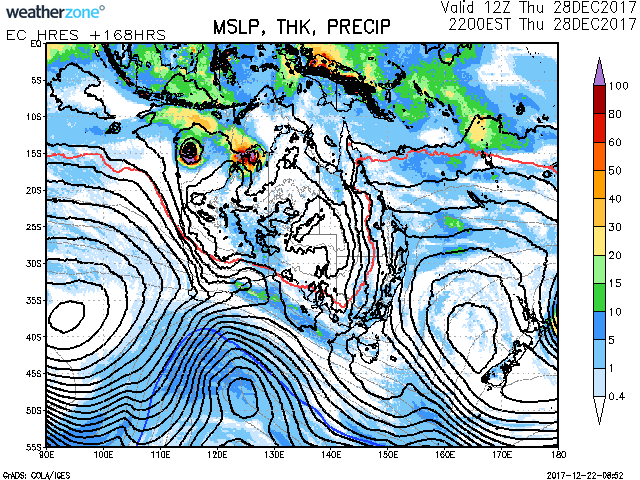 Then in the extended range GFS has two more features across the top end. 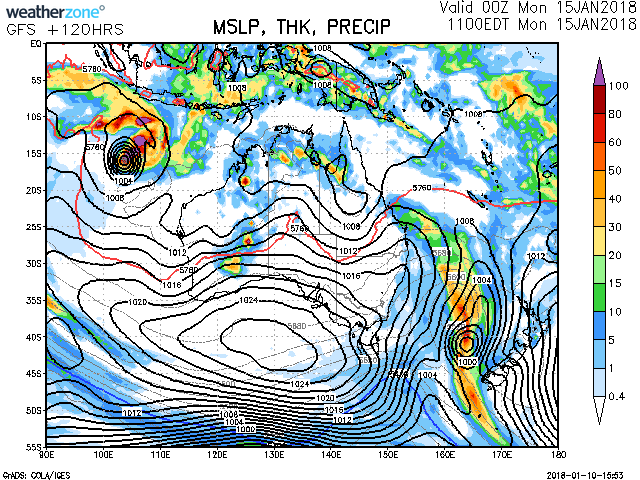 Coral sea to the east is looking v/lame on the models atm. 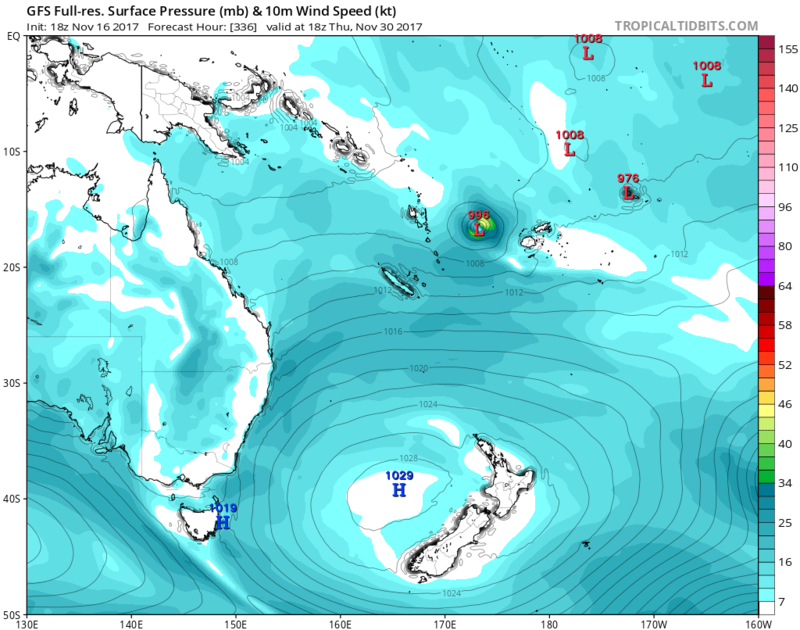 GFS in the crazy extended range now having a liking for a coral sea TC. 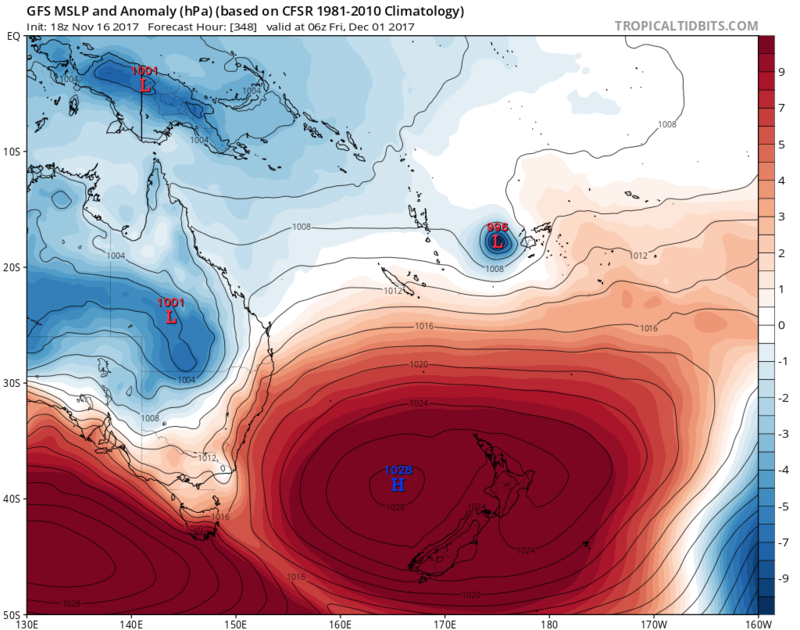 Just for interest in longer range modeling with the big passing mjo. 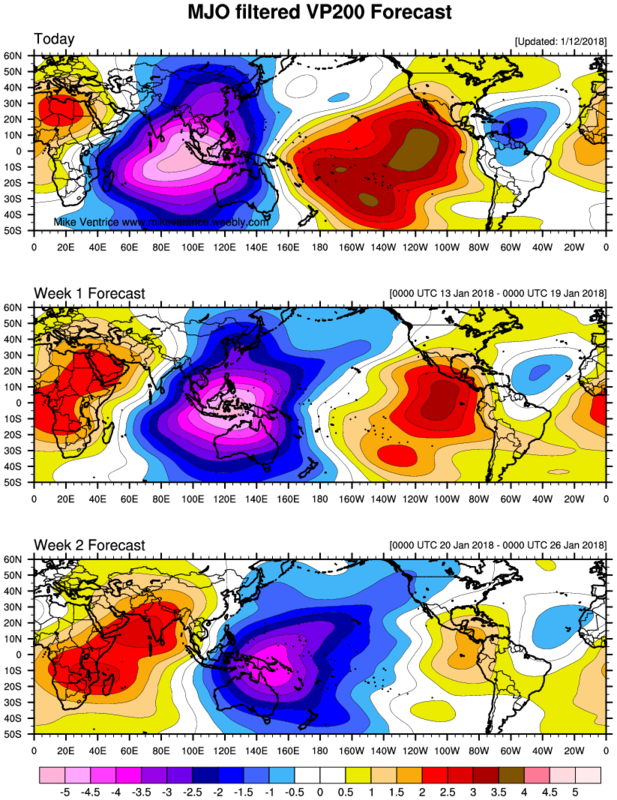 moisture uptick in the cs says cfs MT/+.mjo. 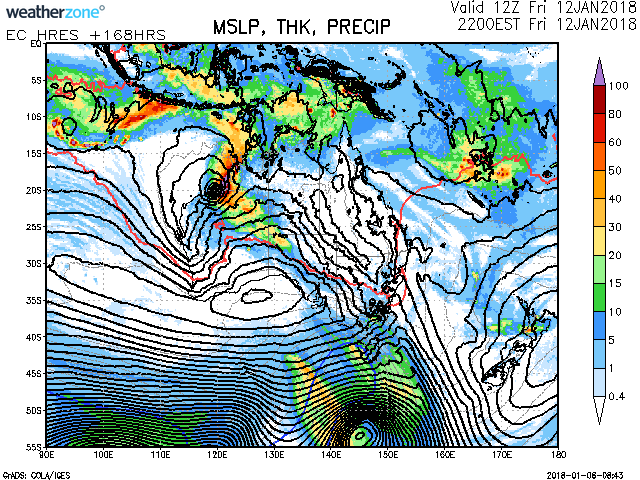 GFS is starting to resemble olden days in the shem In 2 weeks time..Could be chaos if it does verify. 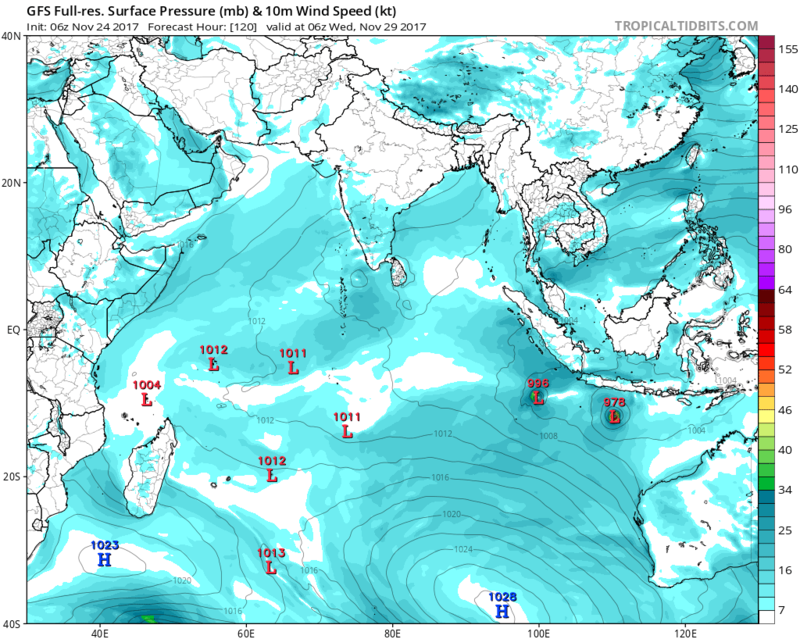 The S Indian Ocean has been pretty active lately. The SPac remains quiet so far though, with not even a single named/tropical storm since the season started. Models are not so enthusiastic either.